Generally, the one who applied for Aadhar will be provided Aadhar card. This Aadar card would be received by post also can be downloaded online. Government computerized all India’s aadhar cards and set an easy process to download them from the official website. Here Aadhar online download process with screenshots available. When you apply for Adhar card you will be given enrollment number further this EID number helpful to download Aadhar card. To download aadhar online there are two ways one is using Enrollment number the other process is using Aadhar card number. Have you applied for Adhar card? Got an enrollment number, post-application waiting to download Aadhar online? 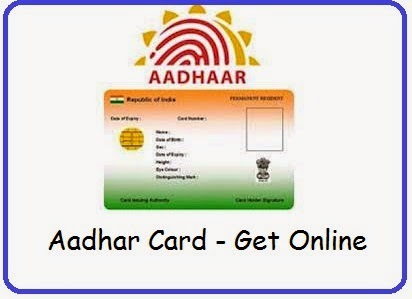 By using Aadhr card number (UID) we can download aadharcard online. Both are the same process to download the aadhar card but the difference is choosing the option that is which number do you have EID or UID? You have aadhaar card number now would you like to download it from online! Procedure for aadhar card download. We will get one pdf file click on save and ok that file. At this time we must have to install pdf software or application in our system or mobile phone. Now open the downloaded file in this time asking password that is your "First FOUR letters of your name as on Aadhar Card " and Year of Birth. Here is the procedure to download Aadhar using enrollment number and as well as aadhar card number. Are you using to download aadhar card by Enrollment ID or Aadhar Card Number? What you have with you then select that one. If registered mobile number correct click on confirm and wait 10 sec and you will get a one-time password to your registered mobile number. Type one time password and click on validate & download. Enjoy Now you will get aadhar card if you want open that file we need pdf software on our device then it will open and that PDF file asking password. Note: Don't download aadhar card many times, we can download aadhaar card 20 times only in online, after that it shows "maximum limit exceeded"
So when you updated your aadhar card that time only download updated aadhar card and when you downloaded Aadhaar PDF, Save that aadharcard PDF for future usages. The video was old it shows the procedure to download aadhar card and here the difference is past and now is PDF PASSWORD entering Precedure Option.